The best extemporaneous preachers always acknowledge that extemporaneous does not mean “impromptu.” In fact, in order for the extemporaneous preacher to avoid rambling and loss of focus, more preparation is often called for. Some advocates for extemporaneous preaching prefer to keep the entire text-to-sermon preparation process in the oral domain and never write anything on paper, other than a few “cues” or lead sentences for each block of thought. Others go through the same sermon preparation process that most preachers do, sometimes preparing a completed manuscript, or outline, but opt for an entirely oral delivery that is not memorized, but improvised. Perhaps the key question that haunts all extemporaneous preachers is “What if I forget!? Kirk Byron Jones, in his book The Jazz of Preaching: How to Preach with Great Freedom and Joy, argues that the best way to address this question is through developing one’s skills at improvisation. Jones notes that the word “improvisation” comes from the Latin words meaning “not provided” or “not foreseen.” In the world of jazz, improvisation means learning to trust the music, remaining open to its nuances and rhythms, and to the directions it might go. The key to good improvisation, according to Jones, is “having more than enough to say.” The jazz musician develops hundreds, even thousands of “riffs” and can employ them in the wink of an eye. This takes lots of practice or “woodshedding.” For the preacher, this means that preparation is hugely important – developing one’s ideas, illustrations, turns of phrase – riffs, if you will, so that one has more than enough to say in the pulpit. Of course, this also means that one must learn to keep this improvisation under control. In most cultural contexts, the sermon cannot become the equivalent of a Grateful Dead or Phish six hour improvisational jam session. Extemporaneous preaching is not for everyone! For those who value the well turned phrase, or who simply cannot trust their improvisational powers, manuscript preaching is a probably a good idea. If it can be done, however, extemporaneous peaching maximizes rapport with listeners, increases listener participation, and enhances the power of tone and delivery in preaching. It can also help us respond to the immediacy of the situation, shaping our messages, to some extent, “on the spot” as an improvisation between text, theology, and life. Many of us view preaching as a short-term (tactical) practice of transmitting information. 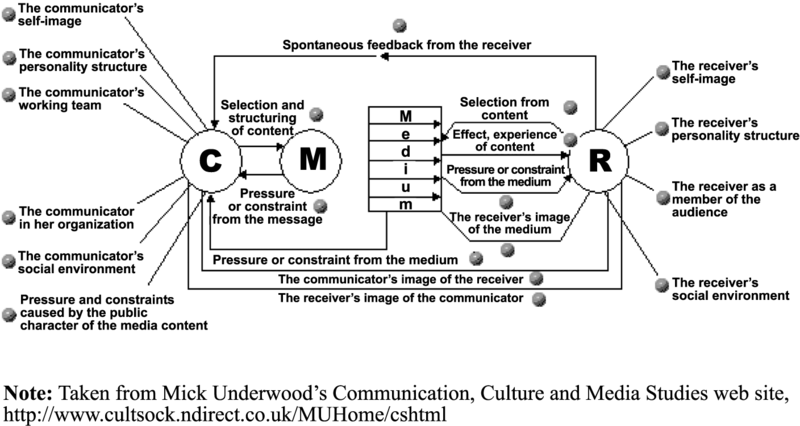 Communication theorists, however, have drawn attention to the inadequacies of the sender-message-receiver or “transmission” model of communication, inherited largely from classical rhetoric. There are a whole host of other elements at work in any communication situation: conventions of listening, worldviews, local history, felt needs, language repertoire, physical setting, and so on. 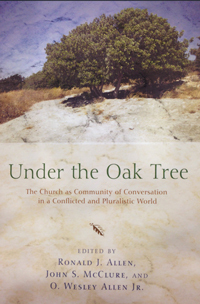 J. Randall Nichols calls this the larger “communicative field” for preaching. The “long range preacher” develops a preaching plan that contains certain goals for changes within this “communicative field” in the future. 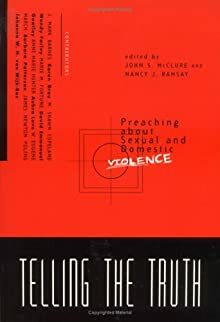 As a long range preacher, I see preaching as part of a process that takes time to complete, a process designed intentionally to promote over time certain themes, messages, doctrines, approaches to scripture, attitudes, theological worldviews, core values, or understandings of the relationship between Christ and culture. Preaching is a shared journey, and I am in it for the long haul. This journey, of course, involves the entire communication life of the church and is most effective when the goals for my preaching are integrated with similar goals in religious education, congregational meetings, publicity (newsletters, website) and so on. In this way, preaching is seen as a part of what Seward Hiltner once called the larger “communicating perspective” on ministry. In order to develop a long-range vision, I might want to engage in congregational study or careful critical reflection and try to discern theological gaps, inconsistencies, issues, or aspirations within the congregation. After such study or reflection, I might establish long-term goals for the communication life of the church, perhaps in consultation with my church board or leaders in the congregation. For instance, my congregation might be ready for diversity of membership, increased knowledge of biblical history, a more socially-conscious approach to theology, a firmer knowledge its heritage, and more openness to the certain cultural and social changes. From this list, I can develop a list of concepts, messages, values, attitudes, and forms of communication that will, over time, contribute to bringing about these changes in the congregation. It is probably too bold to say that sermons actually construct the way that a listener is situated within a communicative field. 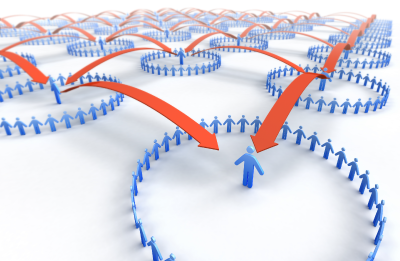 Listeners are participants in multiple subcultures and negotiate messages from the pulpit at the intersection of many overlapping discourses. Over the long term, however, preaching can provide new categories of thought and encourage new forms of speaking and practice. Preached messages push, pull, nudge, encourage, and cajole listeners. If these messages are consistent and strategic, they can, over time, shift the position that listeners occupy within this complex communicative field, opening up new possibilities for thought and action. Several approaches to preaching have attempted to take into account the ways preaching has the potential to re-shape the signs, symbols, theological worldviews, and conventions of listening within congregations over time. 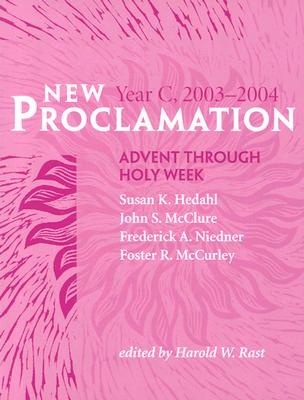 (see for instance, McClure, The Four Codes of Preaching: Rhetorical Strategies, Tisdale, Preaching as Local Theology and Folk Art, Nieman, Knowing the Context: Frames, Tools, and Signs for Preaching). Posted by John McClure in Views from the Street, Who is this? If you’re like me, and many preachers that I have spoken with seem to be, it is common to experience a kind of post partum frustration after the birthing of a sermon on Sunday morning. 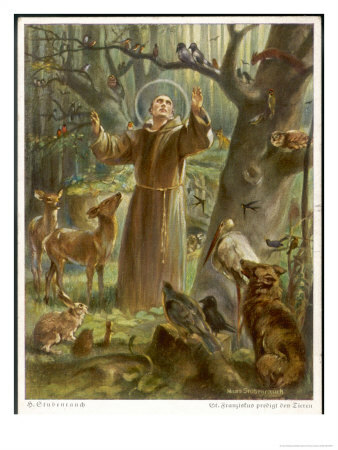 By Sunday afternoon, we find ourselves second guessing what we have said or the way we said it, and by Sunday evening we begin to wonder whether, in fact, we might not have been better off like St. Francis, delivering our pearls of wisdom to a convocation of the neighborhood pets. What began as a spiritually-charged encounter with God in the throes of sermon preparation and sent us blazing into the pulpit with fire in our bones, feels somehow like a deflated dirigible after 15 minutes of small talk, quick handshakes, fleeting glances, and completely off the wall remarks at the church door. And its not that we haven’t polished the sermon! My goodness. We’ve applied every possible homiletical “best practice,” to our sermonic gem, we’ve practiced until we were about to lose our voice, we’ve used gestures large and small, brilliant changes of vocal intonation, and sparkling nuances here and there. We gave it everything we had. That’s not the issue. We did our best. And yet, still there’s this nagging frustration. So much talk, and yet we haven’t a clue what it’s all about or what it’s doing. So many incredible, powerful, potentially life-changing words, and yet they seem to us to simply fall to the ground somewhere between the pulpit and the first row of pews. Over the years, I’ve accommodated myself to this sense of frustration. I think it is natural and normal. The more I think about it, the more I believe that it arises from the reality that every preacher is attempting to do something that is impossible. What we propose to do, to convey a “word from the Lord” is simply a task we’re not equal to. Clay pots, one and all. And so, it is perfectly natural to feel frustrated, even to the point of believing that we are utter and abject failures. In the last analysis, this frustration is actually a symptom of honesty. And that is a good thing, not a bad thing to experience. We have to be honest with ourselves. Preaching is, ultimately, completely beyond us. We talk and talk and talk, and yet, the things that we point to with our words can only, ultimately, be verified and “proved” by real, lived experience – ours and those who hear us preach. So, I encourage us not to let the frustration of preaching wear us down. Its an honest emotion. And a theologically sound emotion. We just have to live with it and plough on through. Posted by John McClure in Who is this? Most or our parents hope that we will, to some extent, follow in the footsteps of our name sake – filling their shoes, so to speak. Well, here’s the rub. I’m named after a great uncle who was a Southern Methodist circuit rider, John Stephen Mitchell – an itinerant circuit rider in the backwoods of east Tennessee and North Carolina. He literally saddled up his horse every morning and trotted between Knoxville and Ashville, over the mountain passes, preaching the gospel along the way to all who would listen. The problem is this. I’m not big on horses. I’m not a Methodist. I’m not crazy about accosting strangers and preaching to them out of the blue. If I were to fill his shoes, I’d need some pretty hefty hiking shoes. To make matters worse, there’s the whole business of my named professorship at Vanderbilt. I’m not sure whether Divinity School Deans think the same way parents do about “filling the shoes” of those whose named professorship one holds, but if they do, mine presents all kinds of issues. I occupy a chair at Vanderbilt Divinity School named the Charles G. Finney Chair of Preaching and Worship. 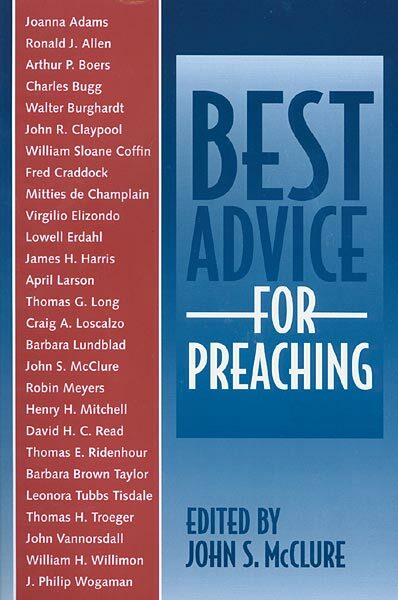 And Finney, many of you recall, was a rather fiery, pragmatic, itinerant revivalist preacher for much of his career. He firmly believed in something he called The New Measures – by which he meant that there are, no longer, any “measures” and so anything goes in the conversion of sinners to God. Dare I try on those shoes?! In our generation that might mean trying on a pair of Converse All Stars. So why me? I’ve not been a fan of itinerant preaching most of my career. In fact, as a purveyor of so-called “collaborative preaching” I’m probably the person least likely to fill the shoes of either of these itinerant types. When I left parish ministry and went into teaching preaching, I realized, about one year into the job, that all teachers of preaching are faced with a tough choice. The job description is simply too big, and something has to give. Teaching, research, writing, and publishing constitute a full time job, and being a seminary’s publicist as “road show preacher” on top of that, if one wants to have a family life, means that one of the other pieces of the job description has to get the short end of the stick. And even if one can get a reduced teaching load, or a guarantee (in writing) that one’s tenure committee will value this kind of “service to the church” as highly as published books or articles, life on the road still threatens one’s time with family. Because I placed a very high priority on my family, and I loved classroom teaching, research, and writing, I moved itinerant teaching and preaching into the back seat. I learned to say “no” and only preached and taught locally – within a 50 mile radius. In effect, I let itinerant preaching go. I don’t think the seminary president or the development officer liked it, but for the past 25 years, I’ve only preached 3-5 sermons a year – not much to be sure. It turned out to be a good decision for me and for my family. Weekends at home, going to the ball park, tucking in my kids, going to church together as a family, meal times and prayers together – these were all hugely important, and our family flourished. I realize that there are those in my guild who are by nature and calling itinerant preachers – good ones. They have to be on the road doing what they are called to do. I know it makes things pretty tough when it comes to time at home, and many of these folks manage amazingly well. Now that my children have graduated from college and are on their own, I find myself wanting to re-up that part of me that loves being in the pulpit. 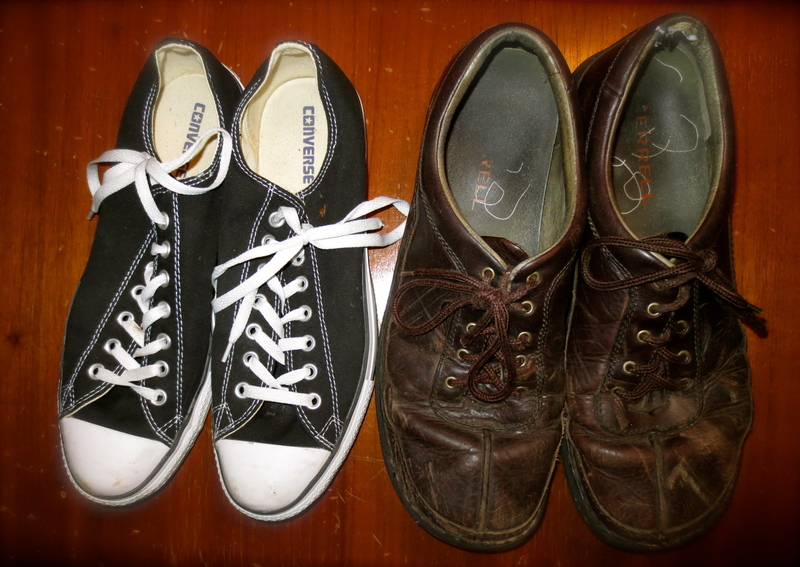 I don’t have the weekly time to take on a congregational placement on the side, so this means that I have to re-think itinerancy – trying on those shoes once again, so to speak. And so, for this sabbatical, I decided to turn the “no” button off and accept a couple of invitations to preach (once abroad and a 6 sermon series at a pastor’s school in Hastings, NB), and devote at least 25% of my current sabbatical time (that’s a lot for me!) to writing, practicing, and preaching sermons, not quite one per week, like the old days in the parish, but enough to prime the pump so to speak, in case the coming years present me with a few more possibilities of getting “out and about” as a preacher. How does one preach “epiphany” in an “epiphany-like” way? And how does a preacher keep epiphany alive throughout the year in one’s preaching? Epiphany, in one translation, means “manifestation.” It is the manifestation or “showing forth” of God’s glory and divinity in Jesus Christ. The word also translates as a sudden insight into the essential meaning of something, usually initiated by some ordinary occurrence or experience. Epiphanic truth, therefore, is truth that arrives as a sudden insight. It is the endpoint of significant delay, and is the hidden object of great anticipation. And its arrival is unexpected because it is not grand and overstated, but shows itself within the ordinary stuff of life – like a child in a manger. Many of the best sermons are “epiphanic.” They delay the arrival of the sermon’s meaning or deepest “truth,” and then, within the anticipation established by that delay, “manifest” that truth by means of the ordinary – in an image of grace, mercy, hope in spite of despair, love, or joy within the fabric of everyday life. 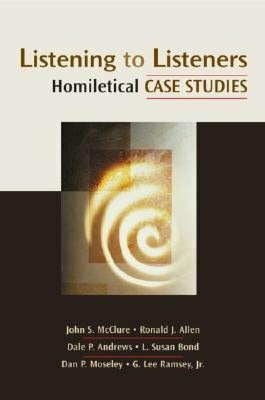 Eugene Lowry’s “homiletical plot” is one such sermon form. 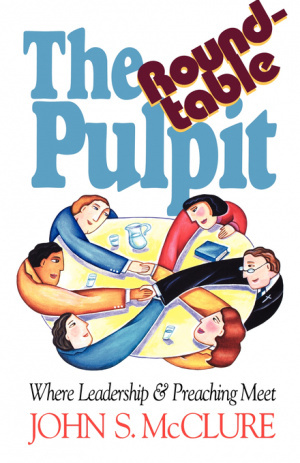 In 1980 Eugene L. Lowry published a very popular little book entitled The Homiletical Plot: The Sermon as Narrative Art Form. In this book, he created what is now commonly known as the Lowry Loop to describe the way that a simple narrative plot functions in a sermon. The first part of the loop involves upsetting the equilibrium. An enigma is presented that energizes the sermon’s forward movement: something is wrong that needs fixing, something is out of balance that needs restoration, something is missing that needs finding, something is confusing that needs clarification, etc. This problem is deepened in the second, and downward part of the loop, called analyzing the discrepancy. Like a good plot line, the sermon goes deeper into the problem at hand, complicating the issue and creating a heightened concern among listeners. At this point, the sermon reaches the bottom of the loop in which the preacher discloses the clue to resolution. This is the decisive turning point in the plot. The gospel brings a reversal or “aha” that begins to move the loop upward toward resolution. This, in effect, is the “epiphany” or manifestation of gospel truth that is the heart of the sermon. This “clue” is often taken from ordinary human experience – a picture of “God with us.” From here the sermon moves upward in the fourth part of the loop, experiencing the gospel. The preacher fleshes out the good news of the gospel and its meaning. Finally, at the end of the loop, the sermon helps the congregation anticipate the consequences. The preacher unpacks fully the implications of the sermon’s message for the living of life. In order the help preachers remember each aspect of the loop, Lowry created a little memory device for each part of the loop: Oops!, Ugh!, Aha!, Whee!, and Yeah! The “Aha!” is the epiphany at the heart of the sermon. Another epiphany-form is parable. Parabolic communication is designed to introduce as an “epiphany” some form of contradiction and unexpected irresolution where reconciliation and order are otherwise assumed. According to John Dominic Crossan, parable is the polar opposite of myth and functions as an agent of deconstruction, interruption, and change. Many parables take what listeners expect to hear and reverse it. In this form of communication, therefore, the epiphany in the sermon is some form of reversal of listener expectation. For instance, in the New Testament story of the Pharisee and the publican we assume that the original listener expected the Pharisee’s prayer to be accepted by God and the publican’s to be rejected. In the story, however, the opposite occurs, opening the story to new meanings. Epiphany within parabolic preaching is iconoclastic, introducing contradictions or unexpected tensions where none previously existed. So, how does one preach “epiphany” in an “epiphany-like” way? In two ways, mainly. First, by acting like a storyteller and delaying the arrival of one’s “meaning” in the sermon – and allowing it to arrive as a “clue” embedded within the ordinary fabric of human life. Second, by interrupting and reversing listener expectations; showing how God’s ways cannot be “storied” at all, but often arrive in entirely unexpected and counter-intuitive ways.